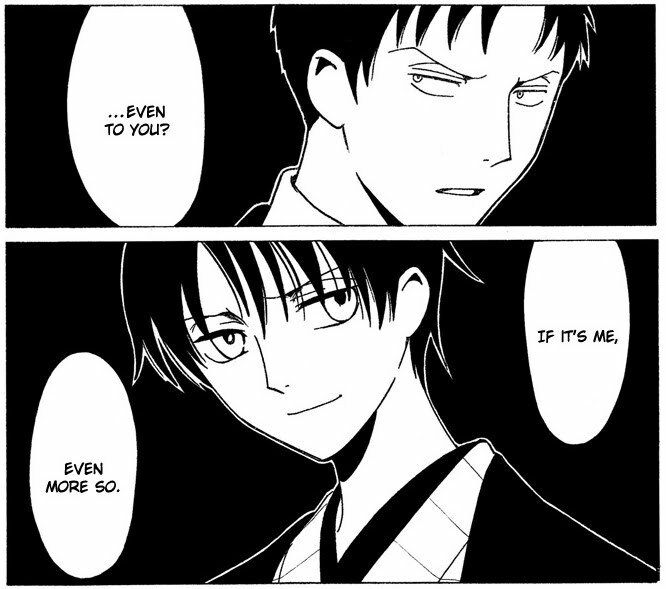 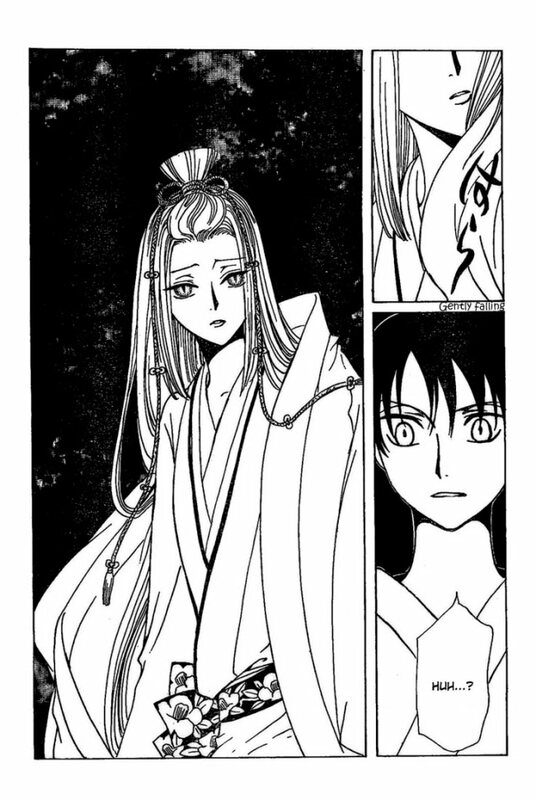 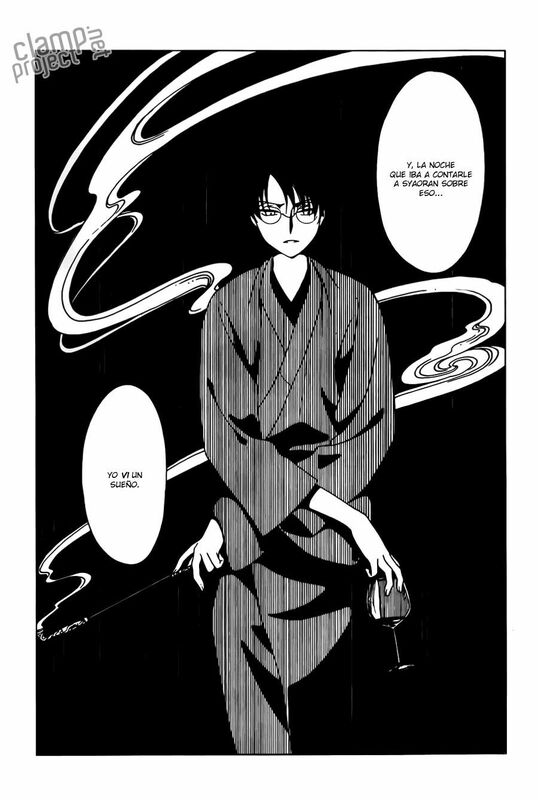 Doumeki asks if Watanuki should be wandering the streets at night, but Watanuki hasn't been bothered by spirits and stuff lately. 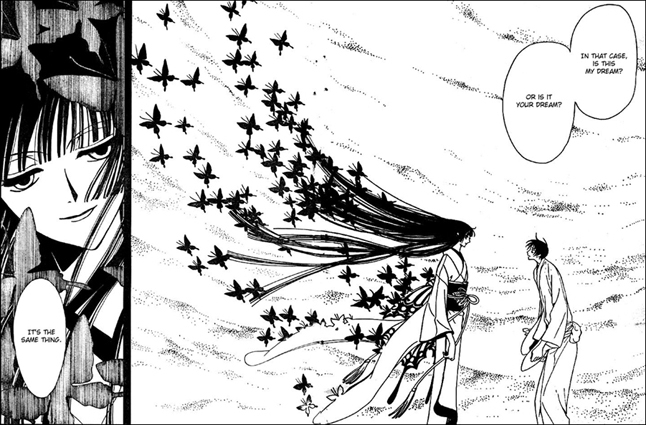 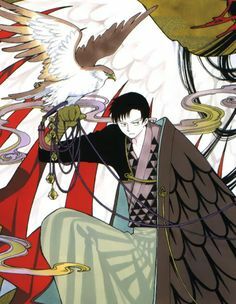 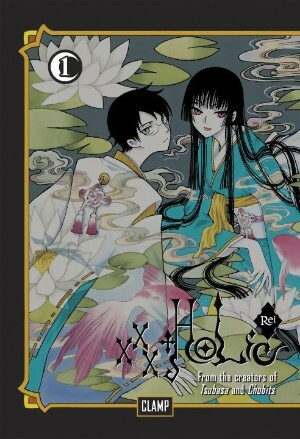 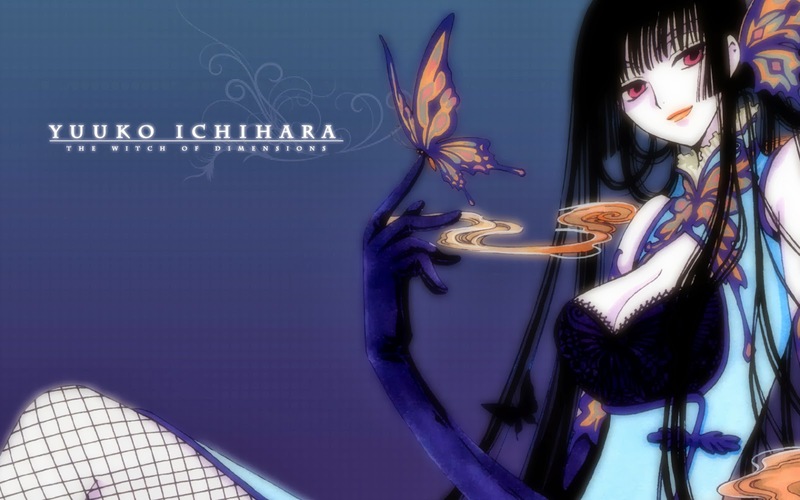 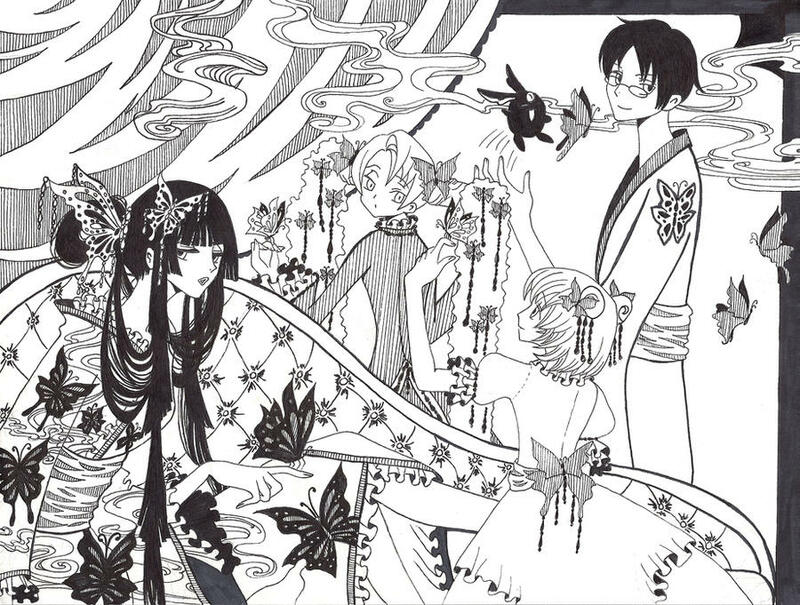 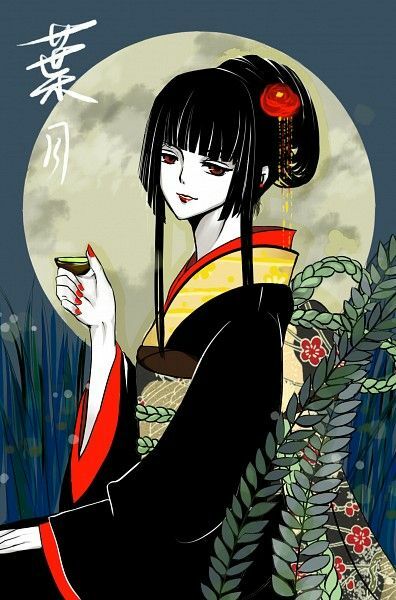 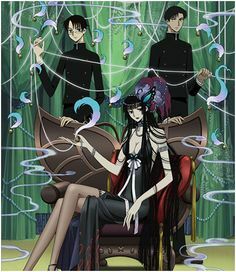 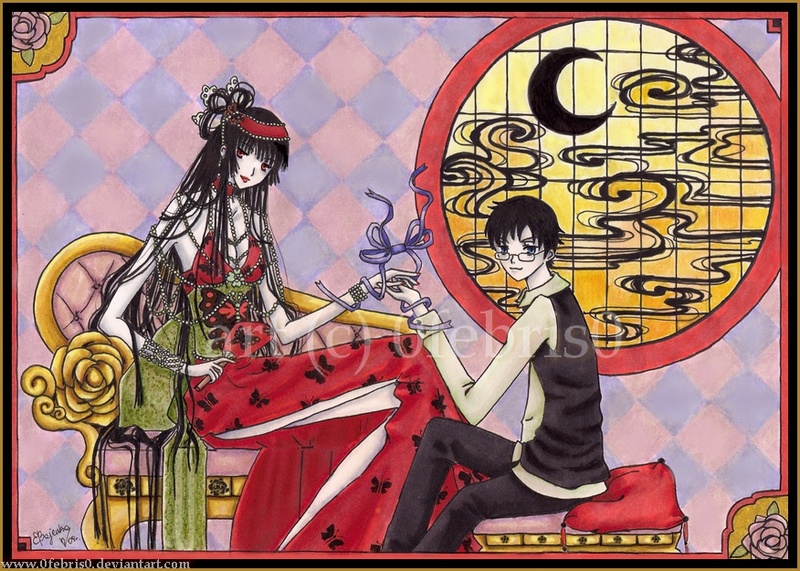 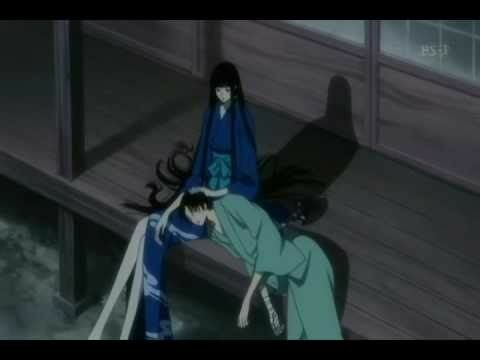 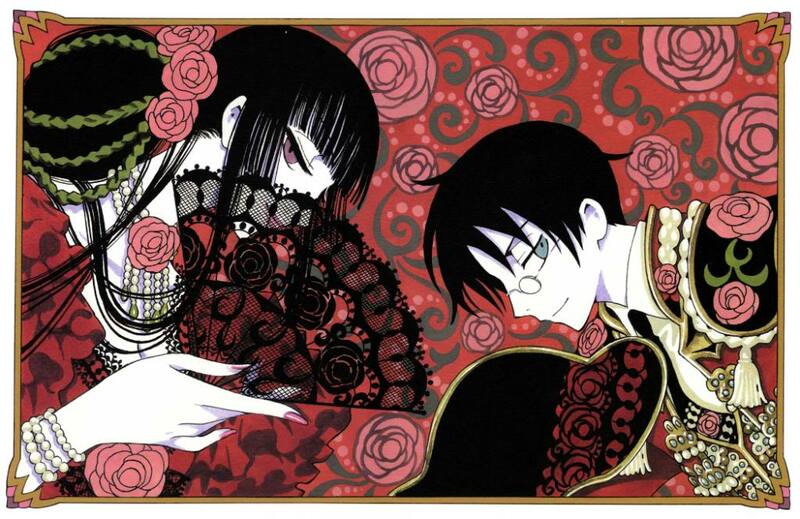 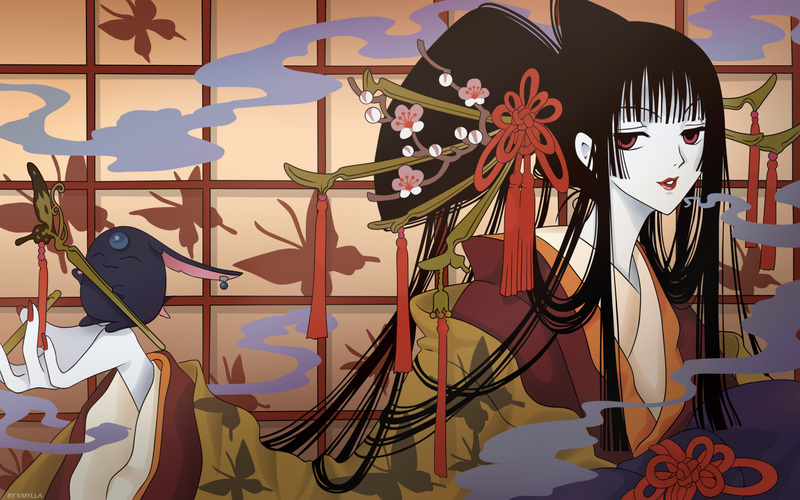 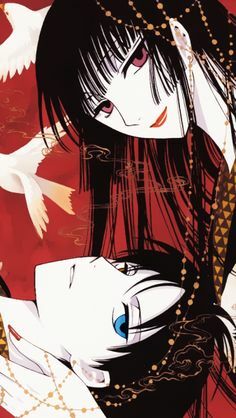 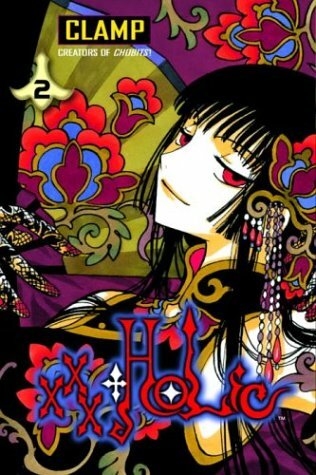 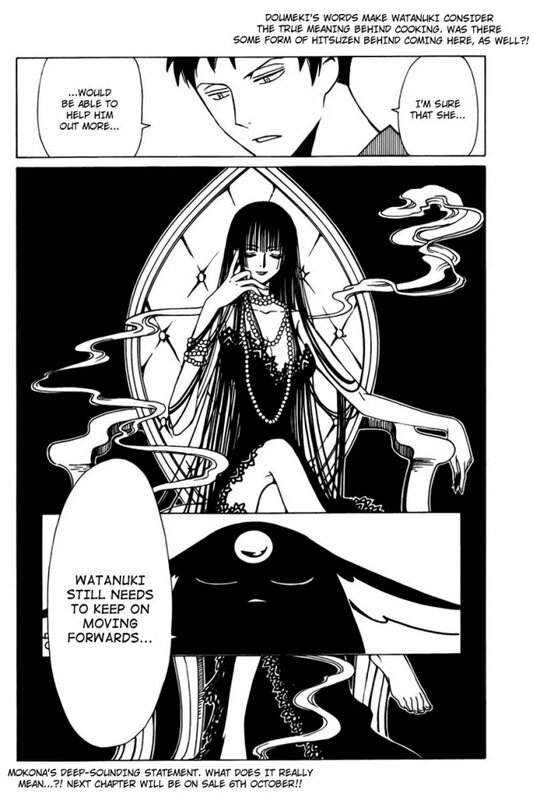 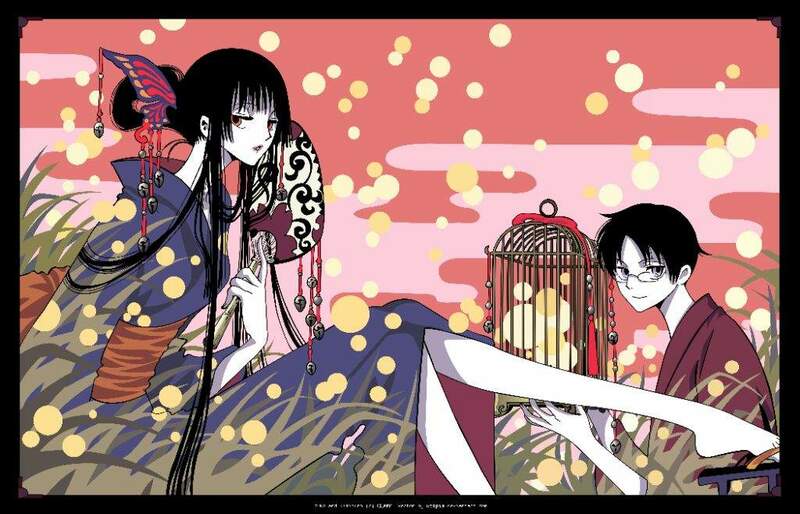 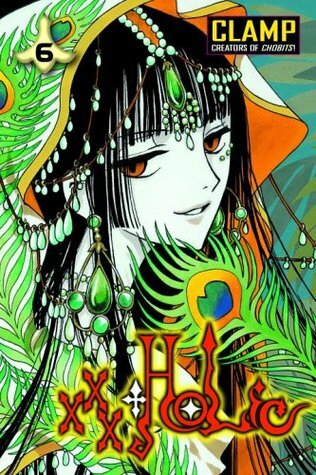 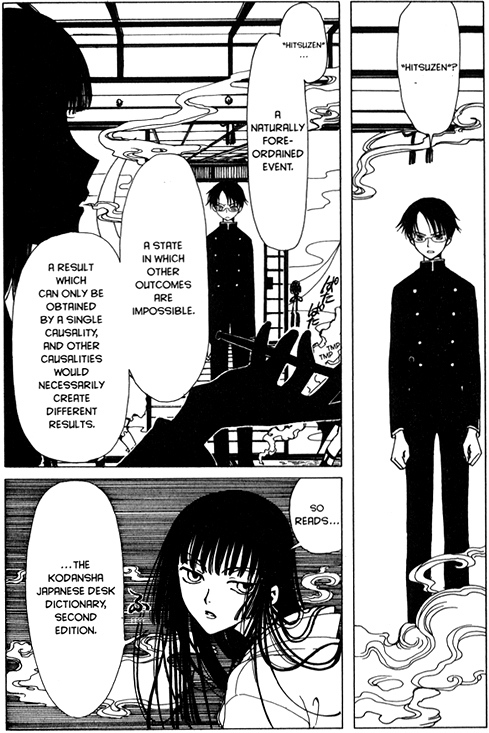 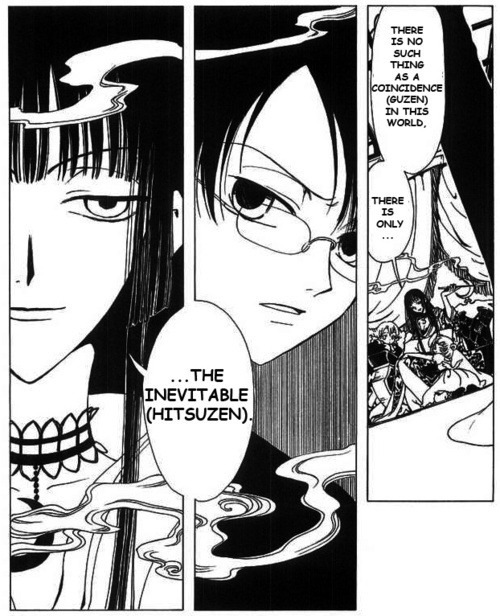 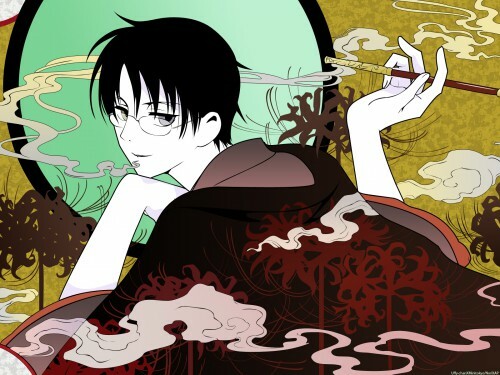 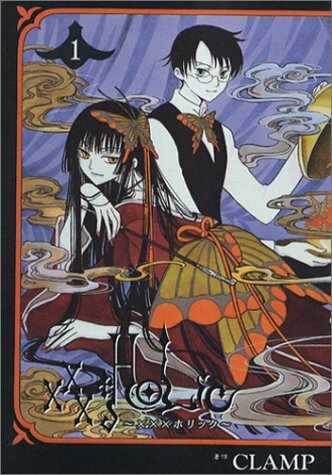 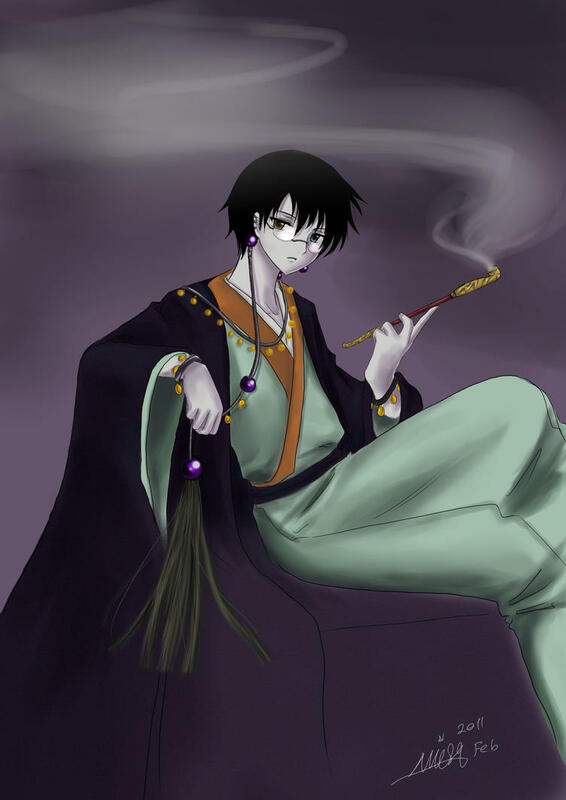 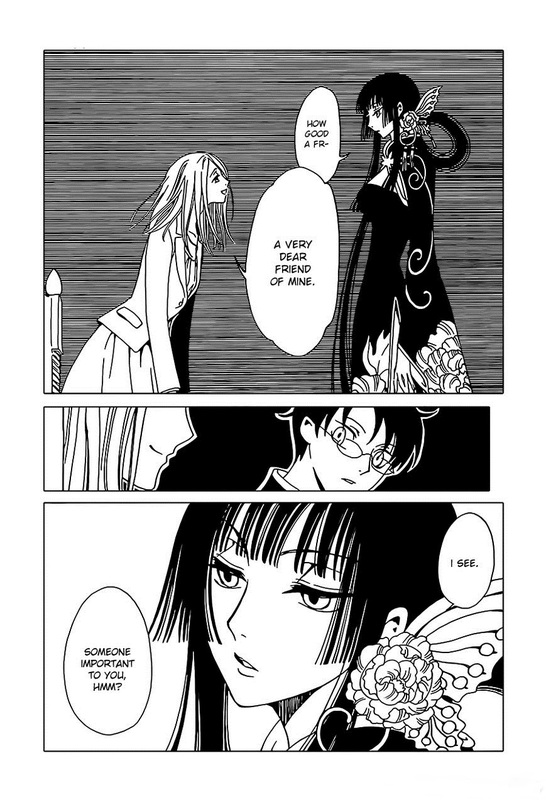 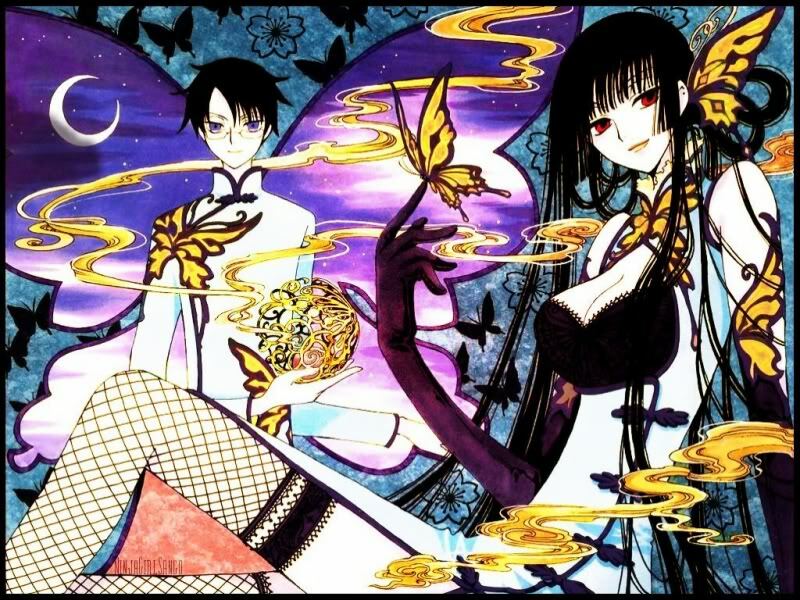 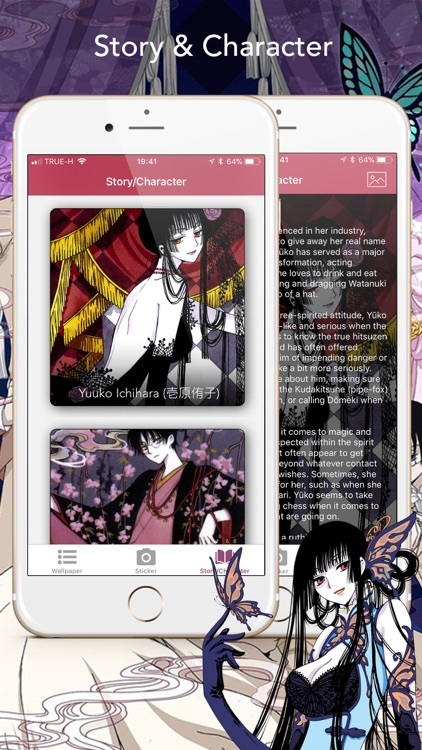 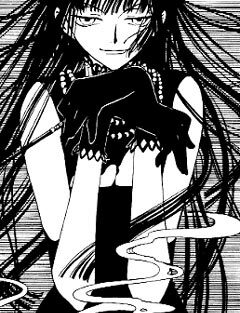 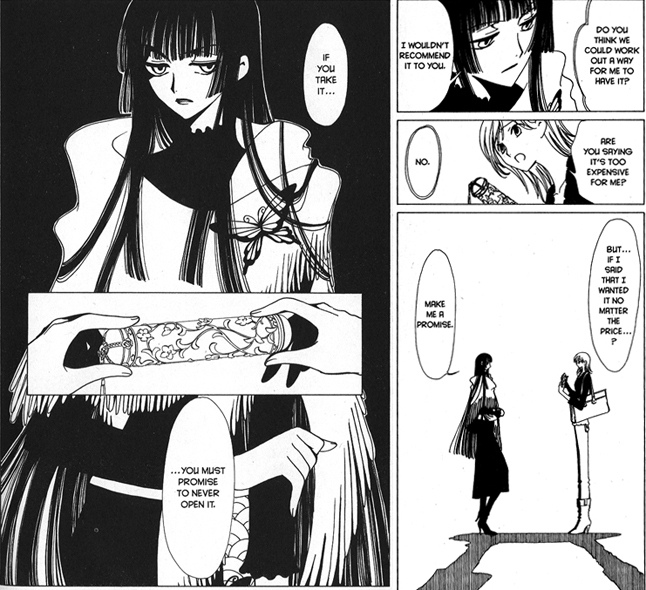 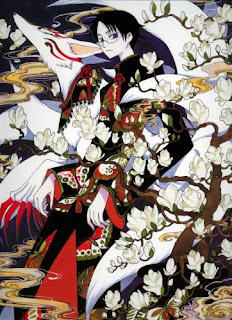 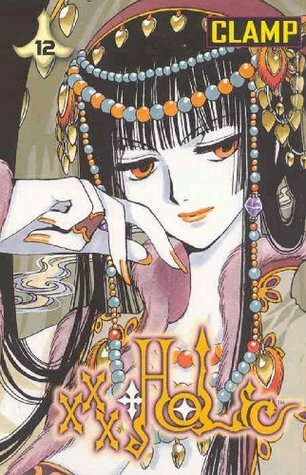 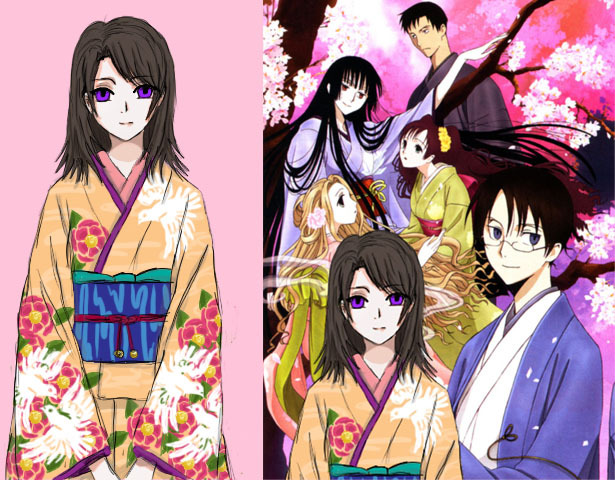 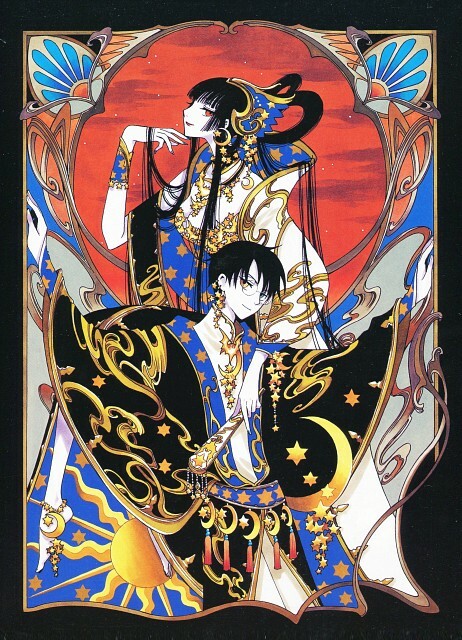 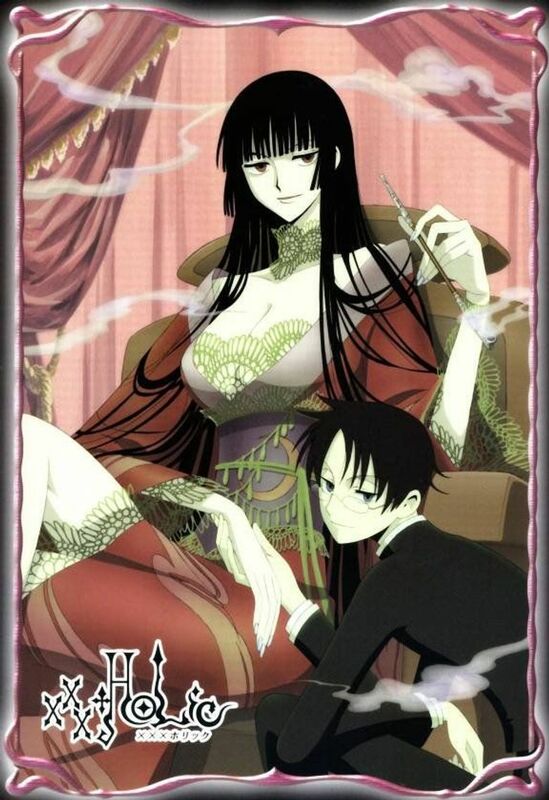 This week's manga review will be Tsubasa's sister story, xxxHolic (pronounced Holic) by the manga group CLAMP. 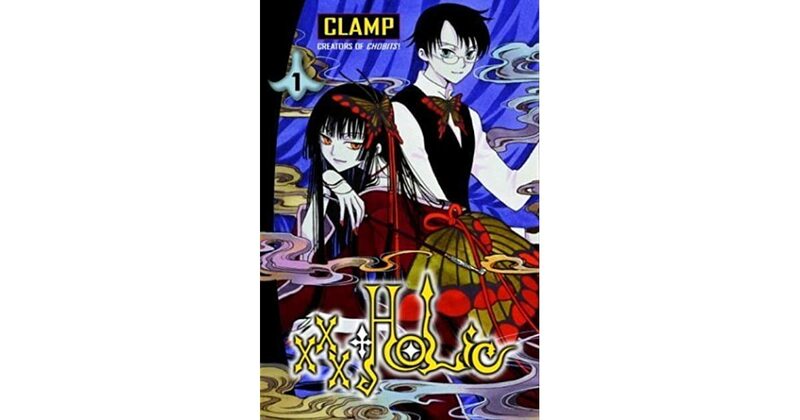 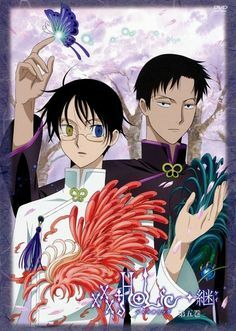 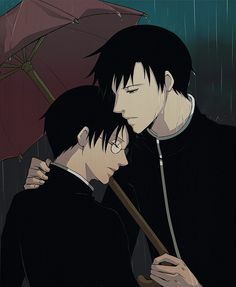 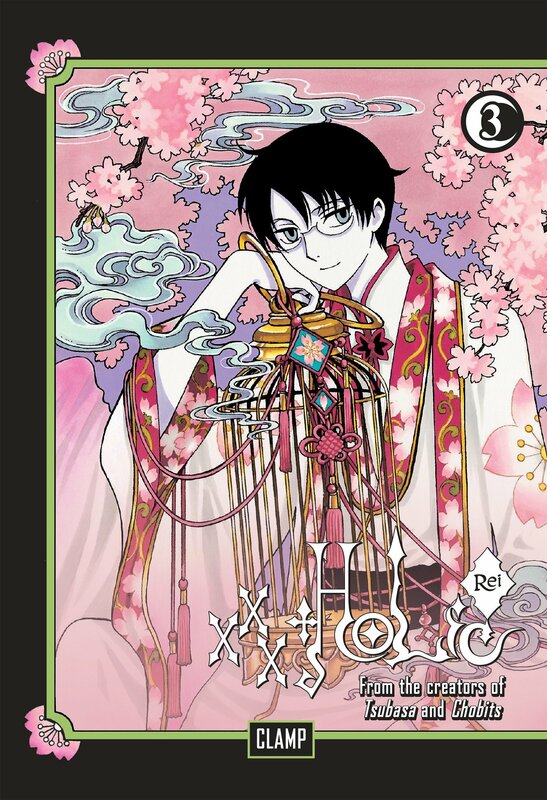 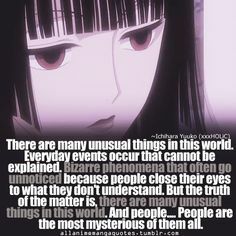 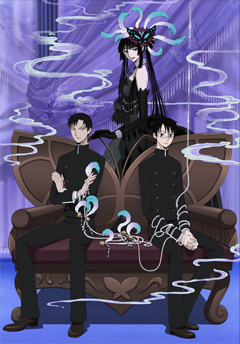 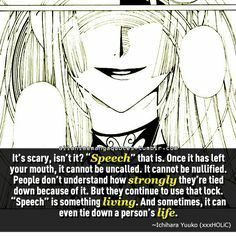 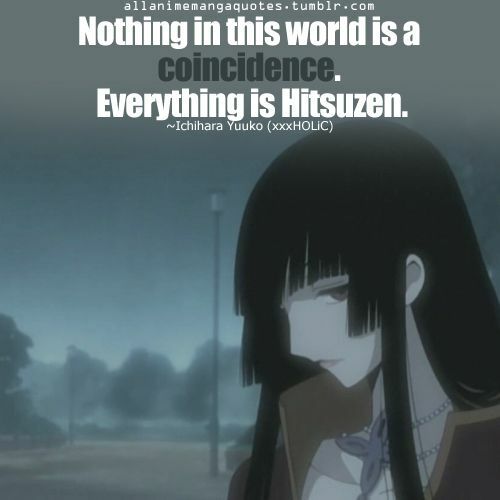 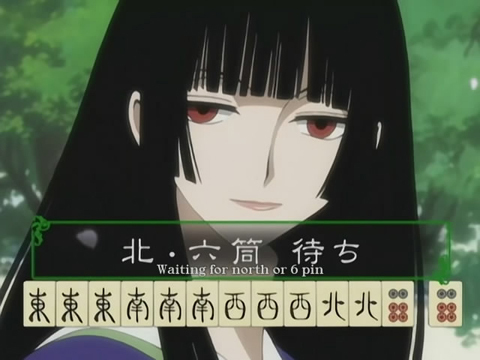 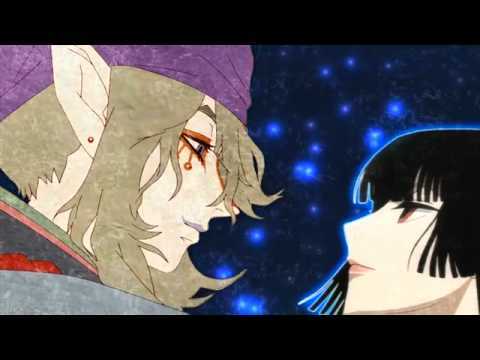 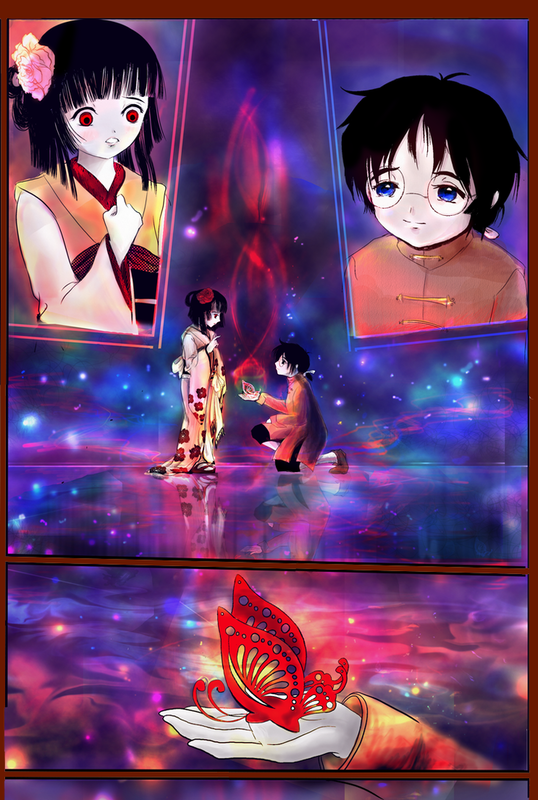 xxxHolic (×××ホリック, Horikku), pronounced "holic", is a seinen manga series planned and presented by Clamp. 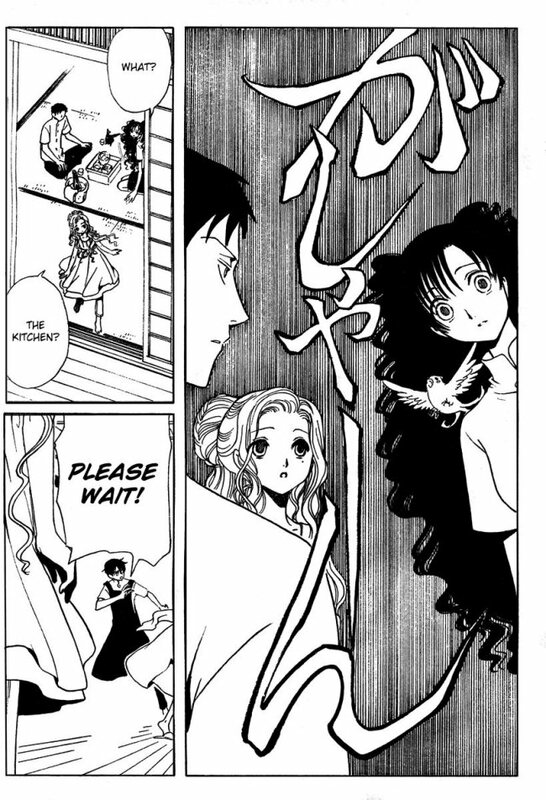 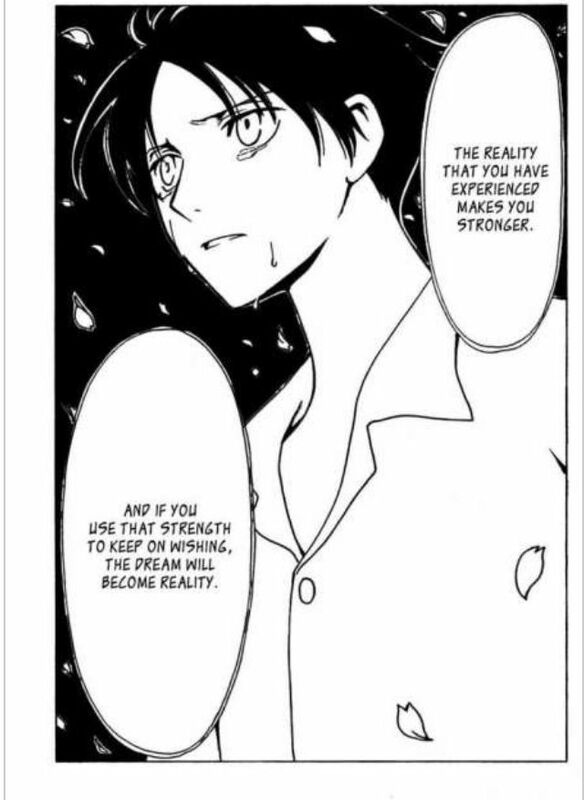 The plot is wonderfully engrossing and at times brutally unapologetic, but it's my favorite adaption of Clamp's work, second favorite being CCS. 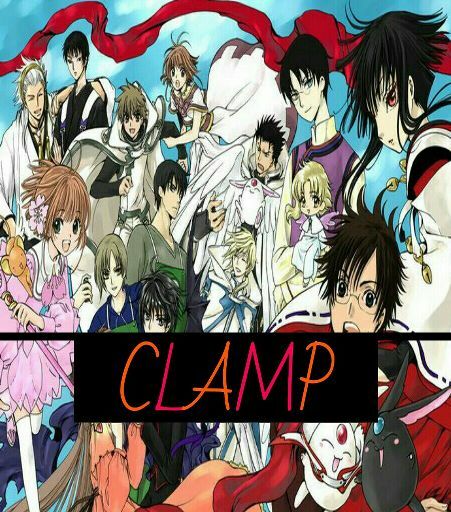 For starters I should first explain who CLAMP is, for those who call themselves anime fan and have not seen/read their works or heard of this group. 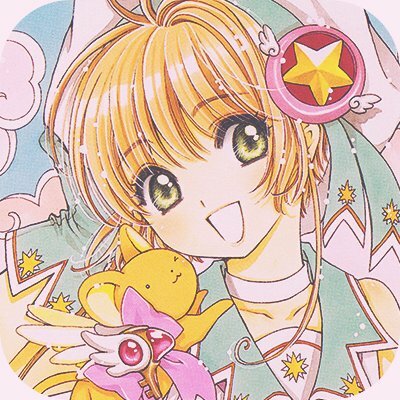 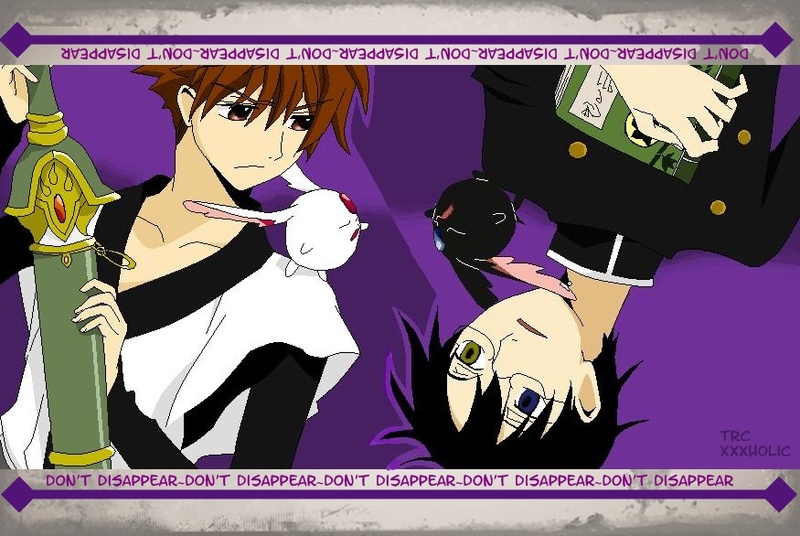 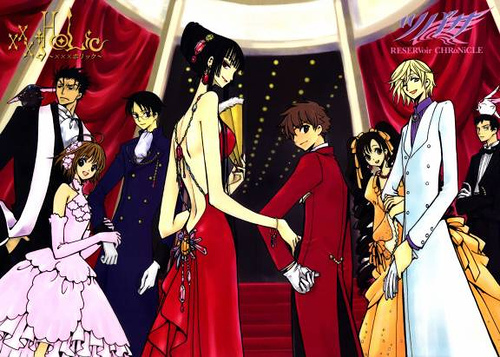 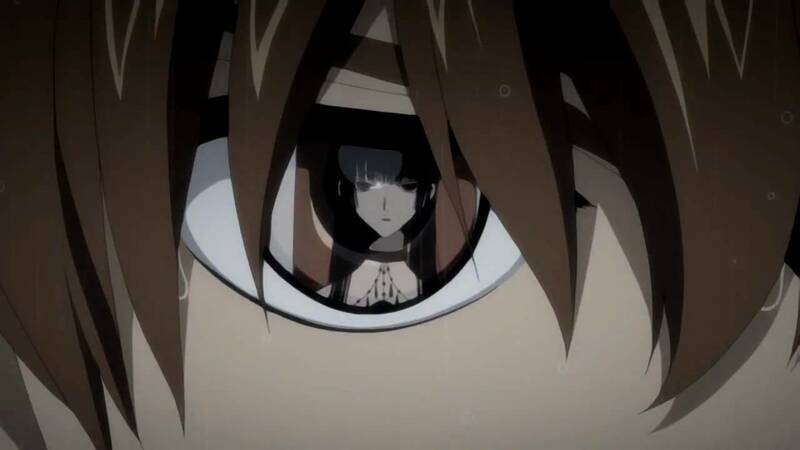 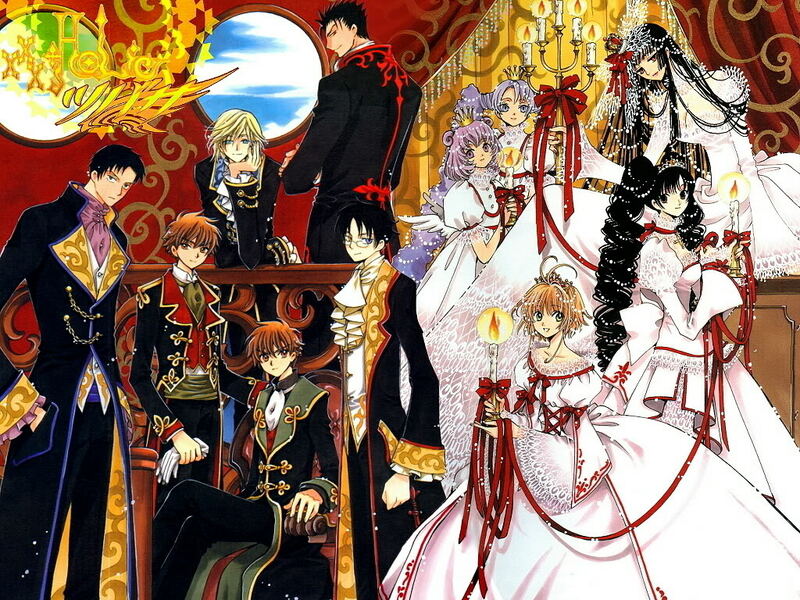 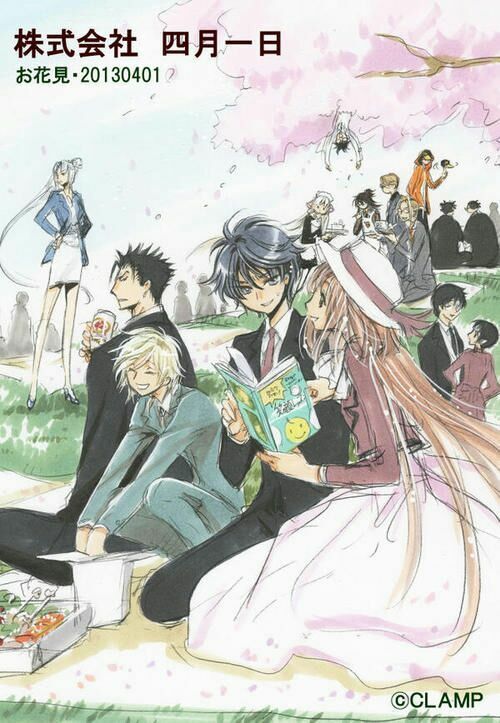 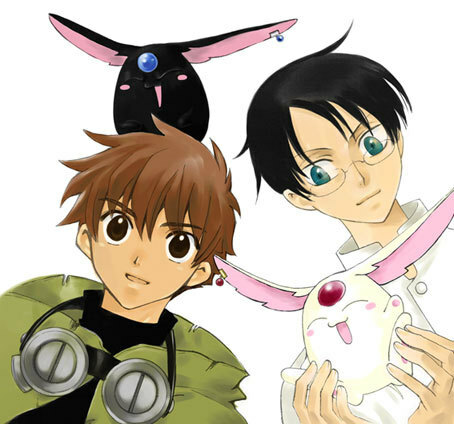 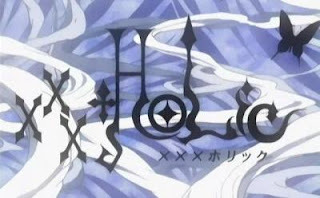 A promotional image of X, an example of CLAMP's drawing style.